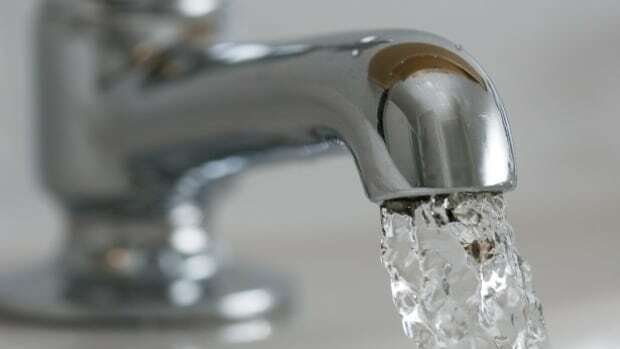 A proposed rate hike​ in Winnipeg this year — and the prospect of more increases in years to come — has city council mulling the propriety of continuing to collect a dividend on water and sewer revenue. In 2018, the city siphoned $38.2 million away from its water and sewer utilities and used that money to bolster its operating budget. The dividend has more than doubled since 2011, when former Winnipeg mayor Sam Katz and former council finance chair Scott Fielding made an eight per cent dividend part of the city’s operating budget. In 2015, Mayor Brian Bowman and then council finance chair Marty Morantz increased the dividend rate to 12 per cent. The water and sewer dividend now accounts for 3.6 per cent of the city’s operating budget, mainly because rates for the service have risen every year, generating more overall revenue as a result. North Kildonan Coun. Jeff Browaty says it’s time for the city to place a hard cap on not just the dividend rate, but the dividend itself. City council is poised to approve a 4.7 per cent water and sewer rate hike for 2019, and more rate hikes are imminent in coming years. “We could see rates potentially double in the next decade. That would mean the dividend would double, because it’s locked at 12 per cent right now,” Browaty said Wednesday in an interview. The city keeps raising water and sewer rates to sock money away to pay for billions of dollars worth of wastewater upgrades the provincial Clean Environment Commission ordered the city to make in 2003. The city spent $47 million upgrading the West End Water Pollution Control Centre a decade ago and is in the process of completing $336 million worth of upgrades to the South End Water Pollution Control Centre. The tab for upgrades at the North End Water Pollution Control Centre, the largest of the city’s three sewage treatment plants, now stands at $1.8 billion. The city must also replace many of its combined sewers or install underground stormwater tanks at an unknown cost by 2045. The city has been trying to convince Ottawa and Manitoba to help pay for these projects. While the Clean Environment Commission envisioned all three levels of government sharing the cost, Winnipeg has been shouldering most of the burden on its own. As a result, the water and sewer dividend has become something of a political liability for the city, especially as it tries to convince the province it needs more money for sewage treatment upgrades. “[The] mayor is responsible — and accountable — for his own promises, budgets, and fee and rate hikes. This includes the charging of an annual water and sewer dividend, which has been widely criticized,” Municipal Relations Minister Jeff Wharton said Wednesday in a statement. Eliminating the dividend altogether, however, is unrealistic for the city, which has no means of replacing the revenue. “It leaves a huge hole on our revenue side if you take it all out. It’s a nice theory, but it would leave us short,” said St. Vital Coun. Brian Mayes, who served as council’s water and waste chair prior to November. ​Mayes, however, chuckles at provincial criticism of the dividend. “That was, of course, brought in by Minister [Scott] Fielding when he was the finance chair here,” Mayes said. Fielding now serves as the province’s finance minister.